In a brilliant recreation of the epoch between the 1770s and the 1820s, Emma Rothschild reinterprets the ideas of the great revolutionary political economists to show us the true landscape of economic and political thought in their day, with important consequences for our own. 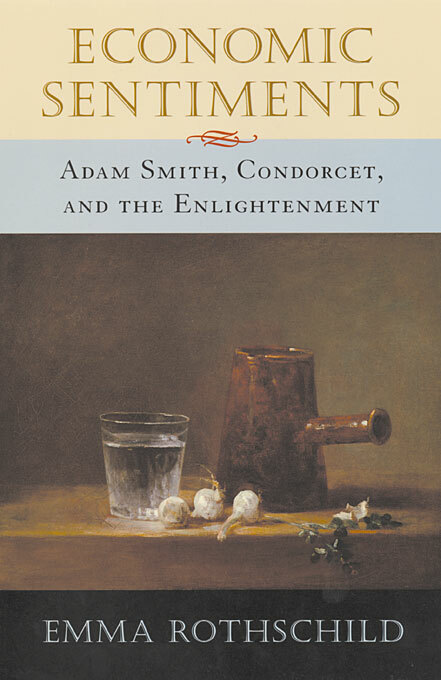 Her work alters the readings of Adam Smith and Condorcet—and of ideas of Enlightenment—that underlie much contemporary political thought. 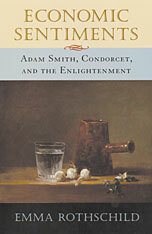 Economic Sentiments takes up late-eighteenth-century disputes over the political economy of an enlightened, commercial society to show us how the “political” and the “economic” were intricately related to each other and to philosophical reflection. Rothschild examines theories of economic and political sentiments, and the reflection of these theories in the politics of enlightenment. A landmark in the history of economics and of political ideas, her book shows us the origins of laissez-faire economic thought and its relation to political conservatism in an unquiet world. In doing so, it casts a new light on our own times.